SatoshiLabs, the creators of the Trezor hardware wallet have provided a way to securely store Bitcoin and safely exchange cryptocurrency. Trezor is a single purpose, highly secure device that allows you to make secure bitcoin transactions. Trezor is a completely safe payment system. Trezor truly is a bitcoin safe. Trezor can securely store: Bitcoin (BTC), Bitcoin Cash (BCH), Bitcoin Gold (BTG), Ethereum (ETH), Ethereum Classic (ETC), Dash, Litecoin & Zcash. 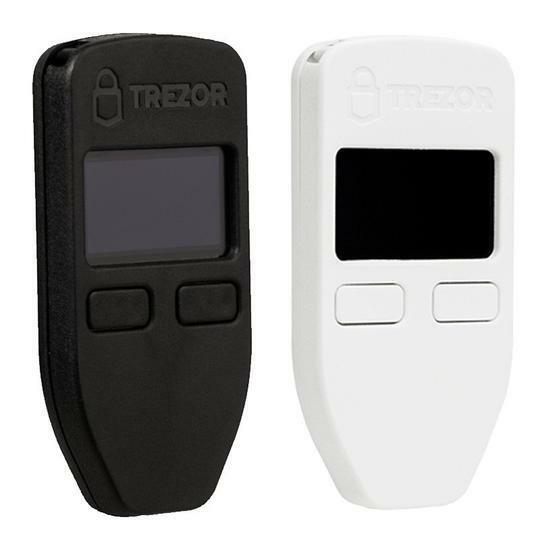 The Trezor hardware wallet has a simple, minimalist design. All you need to do is plug your Trezor into a computer and follow the on-screen instructions. With only two buttons to confirm or deny any transaction, its intuitive and easy to use. All actions can be visually verified using the display screen. The Trezor hardware wallet provides ultimate security, no matter how unprotected your computer might be or how vulnerable your internet connection is. Trezor uses present-day, state of the art cryptographic algorithms and practices. Never worry about malware viruses, screen capture spyware or key loggers. Trezor operates in an isolated environment impervious to viruses and impenetrable by hackers. Because it works in this manner, your private keys are never exposed. Trezor works with multiple operating systems: Windows, Mac OS X and Linux. Trezor is also 100% open-source. Technical decisions are discussed amongst the developer community. All aspects of the Trezor hardware wallet can be audited by an independent 3rd party. By being transparent and open you can be confident there are no ulterior motives in play. If you Trezor hardware wallet is every lost, stolen, damaged or rendered inoperable; don’t worry! 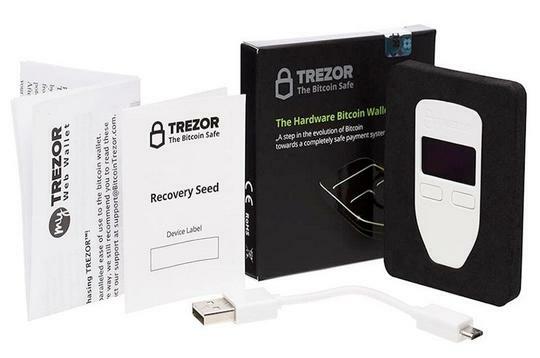 You can easily regain access to your cryptocurrency using the the recovery seed which is completed upon initial setup of your Trezor. Don’t be rendered powerless to online wallets or exchanges. Get your Bitcoin off the exchanges and take control. Don’t risk having your private keys exposed. Get back your peace of mind. Take your Bitcoin off the exchanges and be in control. Advanced Cryptographic Algorithms & Standards, Private Key Isolation. Ultimate security; no matter how unprotected your computer might be. Open Source: everything can be audited by independent 3rd party. Lost, stolen or damaged? No worries! Easy to regain access with recovery seed. Simple Interface, Minimalistic Design; only two buttons to confirm/deny any action. Tamper proof, water resistant & extremely durable. Quick & Easy Setup; private, registration-free process.